Among the many consequences of George W Bush's "war on terror" around the world, it is easy to forget that two of the most important have been in the domestic arena. The first is a substantial increase in the United States defence budget (see "The world as a battlefield", 9 February 2006). Most of the additional resources have been spent on equipping the forces that have borne the brunt of the fighting in Iraq and Afghanistan: the US army, the marine corps and special-forces command. Paul Rogers is professor of peace studies at Bradford University, northern England. 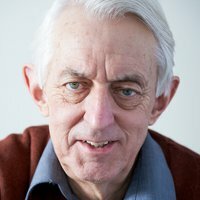 He has been writing a weekly column on global security on openDemocracy since 26 September 2001The second consequence is the impact of the war's casualties, which arguably is just beginning to be felt in many spheres (social, medical, political, cultural, and - though more indirectly, as this column discusses - technological). The damage in Iraq has been especially severe: in four and a half years of war, close to 4,000 American troops have been killed and well over 25,000 injured. This outcome has been radically different from the prospect offered in 2002-03 by then United States defence secretary Donald Rumsfeld, that the US military could deal with almost any threat by exploiting developments in military technology and downsizing to a much smaller, more high-tech force. In the event, Iraq has demonstrated that Rumseld's move away from the need for "boots on the ground" was the product of a fatally simplistic mindset. The scale of the human injury experienced by the US military in Iraq is in one sense a vindication of those who argued against Rumsfeld over the need for a larger occupation force (and in some cases, such as the US army chief-of-staff General Eric Shinseki, lost their jobs as well as the argument of power). At the same time, it can be used to reinforcing an opposite case: the argument for "security through technology", especially where it can persuade decision-makers that new weapons systems really can reduce the risk of casualties. A number of developments are coalescing around this argument. It is an idea that is coming to pervade every level of the US military posture: from instant global reach using ballistic missiles, through missile defence, and ending with the human battlefield. At the global level, the United States is moving towards a plan to re-equip some of the long-range Trident submarine-launched ballistic missiles with conventional warheads; this "prompt global strike" (see "Global security: a vision for change", 12 April 2007). The idea is that the Trident missile is so fast, has such a long range, and is sufficiently accurate to destroy targets with a conventional warhead, that almost anywhere in the world could be hit within an hour of the decision being taken in Washington. In parallel, the Pentagon is moving forward on missile defence (with Britain now formally a part of the programme). In response to fears over missile proliferation, the US has multiple development programmes underway - from interceptor missiles based in the homeland to the airborne laser that would operate close to the launch points (see "Directed energy: a new kind of weapon", 31 July 2002). An entirely new programme has recently been added to the pool: the development of a huge 25,000 ton nuclear-powered cruiser that would be intended entirely for the role of forward-based missile defence (see Christopher P Cavas, "25,000-ton cruiser under consideration", Navy Times, 26 July 2007). The plan is to build five of these ships, each armed with many hundreds of anti-missile missiles, for deployment in (for example) the western Pacific. These would target missiles aimed at the United States soon after launch, thus providing a large part of a "shield" protecting the US; the few missiles that did penetrate would be destroyed by another layer of interceptors installed in the homeland itself. The costs would be huge, probably over $4 billion for each ship. The strategic impact on major countries such as China and Russia would be considerable; it is likely that they would commit substantial resources to expanding their offensive missile forces in order to establish the ability to swamp the new US systems. The missile-defence cruiser will not be built until 2017 or later, but moves towards the automated battlefield are developing rapidly. Iraq has been a primary focus for automation, both in terms of mine-detection robots and through the use of unmanned combat-aerial vehicles (UCAV) (see David Isenberg, "Robots replace trigger fingers in Iraq", Asia Times, 28 August 2007). A full squadron of the new MQ-9 Reaper UCAV is being based at Balad, north of Iraq; each plane carries 1.5 tonnes of bombs and missiles and is capable of infra-red, laser and radar targeting. The Reaper is four times the size of the Predator UCAV (already used in Iraq, Yemen, Afghanistan and Pakistan), and can carry fourteen Hellfire air-to-ground missiles compared with the Predator's four. The UCAV phenomenon represents just part of the process of automation. Many other programmes are now being developed (see "Robot Wars", Economist technology quarterly, 9 June 2007), in a field where small-scale entrepreneurship is maximising its advantages to lead the way. Pierre Chao of the Centre for Strategic and International Studies think-tank in Washington expresses it like this: "It is a hot new market and a place to be, and a place where, as a small entrepreneur, you have an opportunity to really be an entrepreneur and inventor. You can't be an entrepreneur in a fixed-wing fighter market" (see Gayle S Putrich, "Pentagon's Unmanned Options Keep Growing" Defense News, 13 August 2007 subscription only]). The biggest growth area is in surveillance and reconnaissance for ground forces. The US marine corps is seeking up to 3,000 robots for bomb- and sniper-kilometres-per-hour (kph) detection, and the army is about to field a thirty kph robot that can scan up to 300 metres using an inbuilt radar system. This is the "mobile detection and assessment response system" (MDARS), whose significant feature is that it is largely autonomous. The MDARS, rather than depending on a remote operator for its every move, works by a combination of inertial guidance and a GPS system that does most of the "driving" and enables it to find its own way round obstacles. It can operate along pre-determined routes or patrol a given area, sending back information on potential intruders to its base. The MDARS (which costs around $400,000 a time) is regarded as the first of a new generation of robots that will develop in due course into weapons systems (see Kris Osborn, "U.S. Army To Field Autonomous Security-Guard Robot at Bases", Defense News, 18 June 2007 [subscription only]). This refinement is already advancing in that hothouse of new military technologies, Israel. There, an automatic "see-shoot" system is about to become operational along the sixty-kilometre border with Gaza, a territory which Israel on 19 September declared to be a "hostile entity". This system is designed to operate via a series of overlapping sensors placed along the border that collect data on the movement of any individual or vehicle in the area. In conjunction, machine-gun points protected by armoured folding shields have been installed to create automated, 1,500-metre-wide kill-zones; anti-tank missile launch-sites placed several kilometres apart could also be added (see Barbara Opall-Rome, "Israel's Robo-Shooters", Defense News, 4 June 2007 [subscription only]). The "see-shoot" system currently involves human intervention: there are no military personnel physically present around the kill-zones, but there are also remotely-sited operators who check the sensors and then aim the machine- guns at the target (people and/or vehicles). The automation of the battlefield - whether in Israel / Palestine, Iraq, Afghanistan or elsewhere - is all part of the next phase of the United States's (and its Israeli ally's) search for military control. The "prompt global strike", "rapid eye" and other programmes are key instruments in the automation of the global battlefield. At one level this trend could be said to exemplify the vision of high-tech warfare espoused by Donald Rumsfeld. At a deeper one, the abject failure of his approach in Iraq - not least because it was blind to the sophistication of paramilitary groups in using new technologies - it could it turn out to be an even higher form of delusion.